Nintendo’s The Legend of Zelda: Breath of the Wild continues to wow and impress me with its huge world and Captured Memories quest. After exploring Hyrule a bit more and filling in a fraction of the map via the Sheikah Towers, I headed back to Hateno Village to finally repair and restore my Sheikah Tablet. Breath of the Wild’s world is vast. To fix my Sheikah Slate at Hateno’s Ancient Tech Lab, I had to bring a blue flame from down the hill and across a brook to the furnace outside the lab. 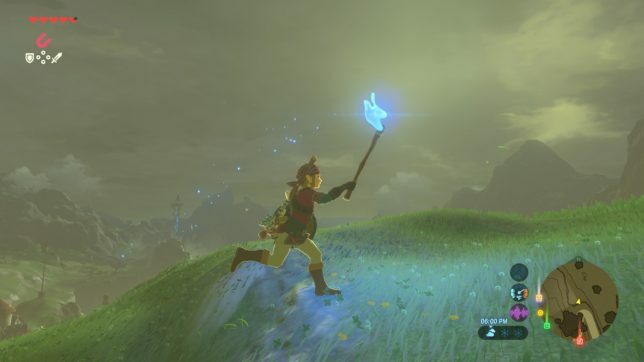 Fortunately, I was able to light some lanterns with it along the way to relight my torch because every time I stopped to talk to some villagers or pick some apples or, say, fall off a cliff while trying to get an awesome screenshot, the torch would go out. I figured restoring the Sheikah Slate was going to be no big deal. Indeed, once it was fixed, all I got was a Camera Rune. As I had been taking screenshots constantly while on the Switch, I didn’t see how this feature was a big deal. Purah told me to take pictures of beasts and whatnot to add them to the slate’s database, and I’m just thinking this was all a bunch of busy work. However, Purah wanted me to go meet with Impa back at Kakariko Village, and Impa actually gave me something interesting to do. Twelve photos previously taken on the slate by Princess Zelda had been restored, and I was told to find those twelve places in the world to regain some of Link’s memories from 100 years ago. Pikango, the traveling painter, pointed me in the direction of one of the pictures, but I knew the location already because, in typical open-world fashion, I HAD ALREADY BEEN THERE. 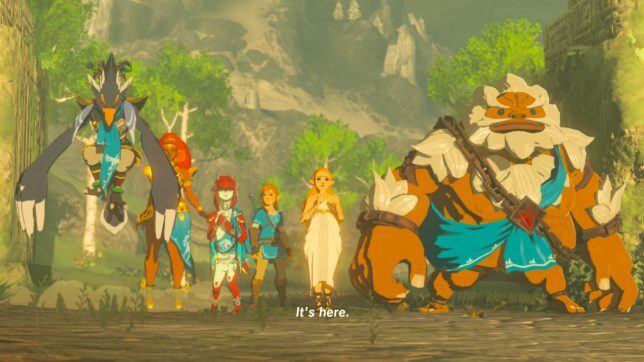 The ensuing cinematic showed Ganon’s return during a meeting between Link, Zelda, and the Four Champions 100 years ago. There was some point about Zelda unable to cast some spell after meditating on a mountain or something, but I didn’t quite catch it. The Princess, however, vowed to not seek shelter but to fight, and by now the game has established repeatedly that Zelda is in Hyrule Castle keeping Ganon at bay. This event has added some urgency to the game, which I like. Until this point, the game wanted me to solve some puzzles in some shrines and win back the four Divine Beasts from Ganon’s control. 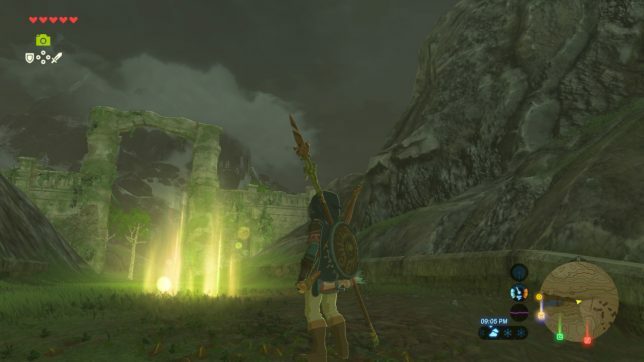 This recollection of Zelda and the Champions added some “human” and personal elements to Link’s quest, and the game would have been served better if this plot point had occurred far earlier in the game, like the first time Link arrives in Kakariko Village. Granted, I’m the one who went off exploring, but why the need to separate Kakariko and Hateno villages anyway? I explored both villages in the same gaming session and found it odd then that they were so near one another, and the quests have just been a back-and-forth between Impa and Purah. Fortunately, there’s quick travel to the nearby shrines, but still. On returning to Impa in Kakariko Vilalge, she had apparently been rummaging through her closet and found Link’s Champion’s Tunic from 100 years ago. 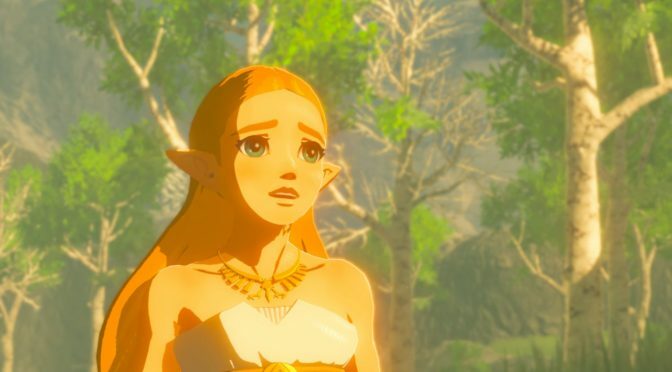 I don’t understand why, if she had had it this whole time, she couldn’t have given it to Link earlier in the adventure. I had already bought and upgraded a tunic equal to it in stats. Why I needed to recall a memory of wearing it before she gave it to me is just bizarre. 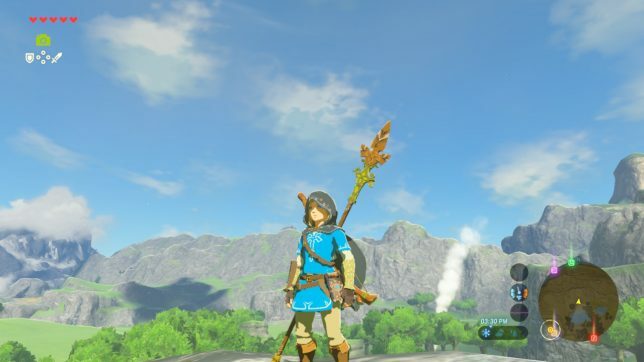 Ready for adventure in the Champion’s Tunic! So while I have some gripes with Breath of the Wild‘s story structure, I am still overly impressed with the game. 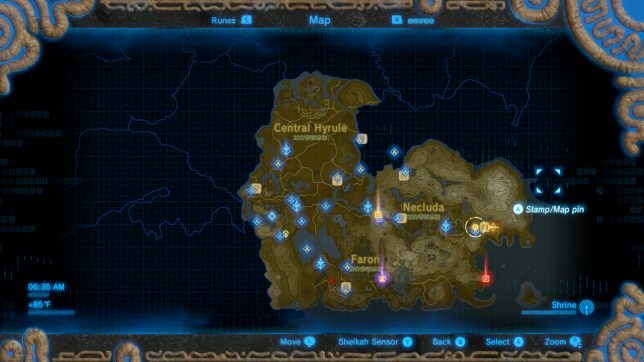 Recovering Link’s memories through finding the places in the photographs is the game’s greatest narrative strength at the moment and should have been introduced into Breath of the Wild way earlier. The freedom to explore a vast world and the short but oftentimes challenging shrines found along the way make for a fun formula. You can catch me live streaming Breath of the Wild and more on the Cablepunk Press Twitch channel!